Looking for fabulous keto dinner ideas? These easy keto recipes with ground beef are tried and true, the perfect low carb meal ideas for your lifestyle! Who has tried the ketogenic diet? 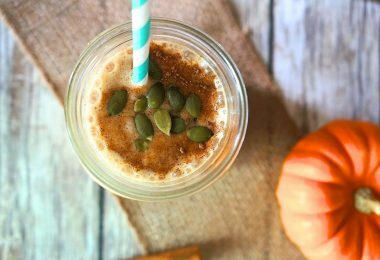 If you are looking to lose weight and make a healthy change to your eating habits, this might be for you! 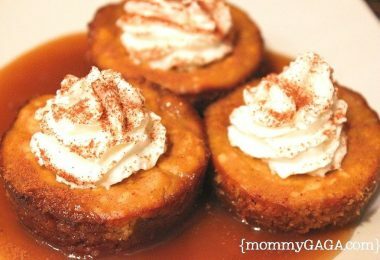 Finding the best keto dinner recipes and low carb ground meat recipes can be challenging at first, we know! Dinner time gets hectic, you have to get used remembering the proper ingredients to use in your meals, and switching up the recipes can be hard to do after a while. 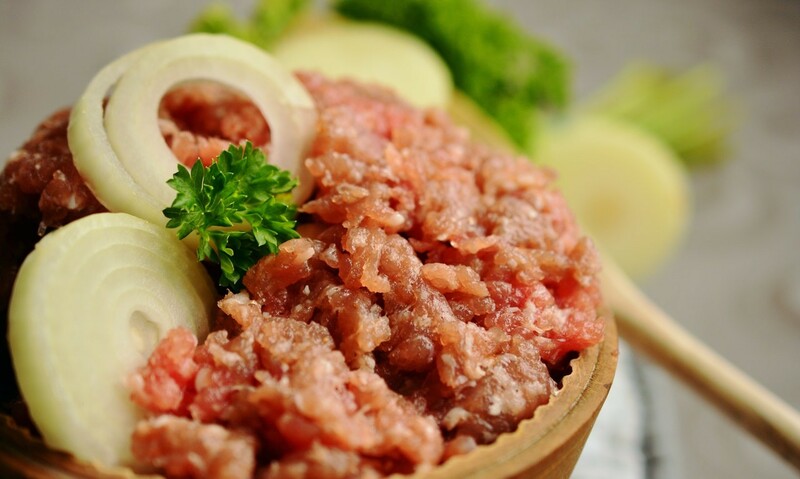 Ground beef is easy to buy in bulk, relatively inexpensive, and is warm, hearty, and delicious for dinner. 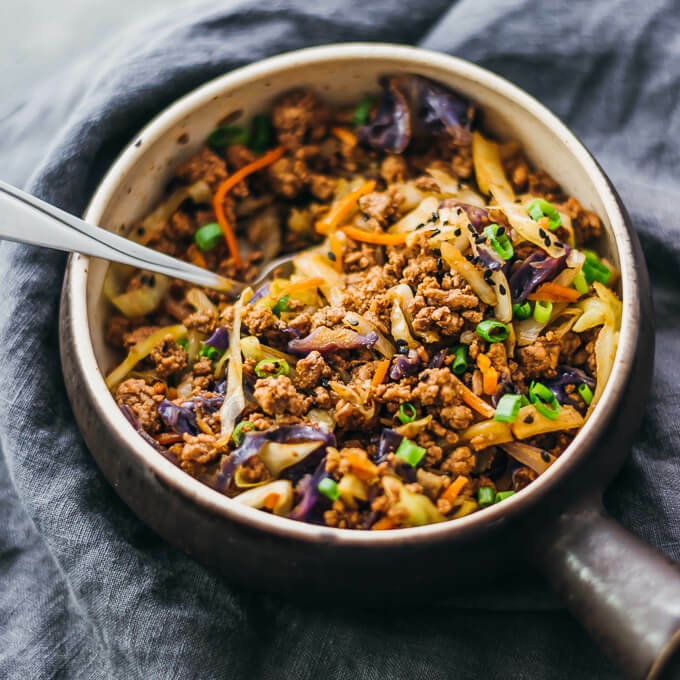 We’ve put together some of the best tried and true keto ground beef recipes on the web, and you definitely want to try them! The ketogenic diet – or keto diet – is a low carb, high fat diet that is becoming increasingly popular. 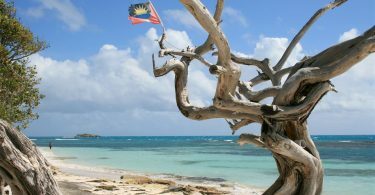 According to top keto site Ruled, “A keto diet is well known for being a low carb diet, where the body produces ketones in the liver to be used as energy.” Depriving the body of carbs puts it into ketosis mode, and the breakdown of fats in the liver produce ketones, burning those as its primary energy source. Many people have used the keto diet successfully for weight loss, an increase in energy, no feeling of starvation, and a better daily focus. It is not easy to change what you eat, so I definitely admire those who have been able to stick with their plan! Learn more about the keto diet here. 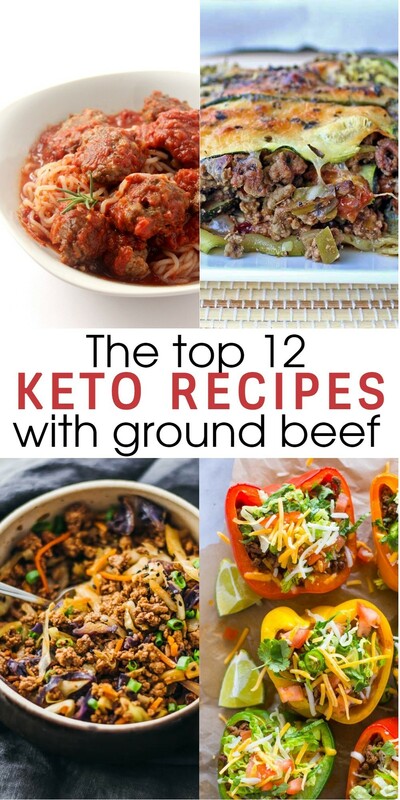 If you are interested in the ketogenic diet, or have already started, these easy keto recipes with ground beef are perfect for your keto dinner arsenal! 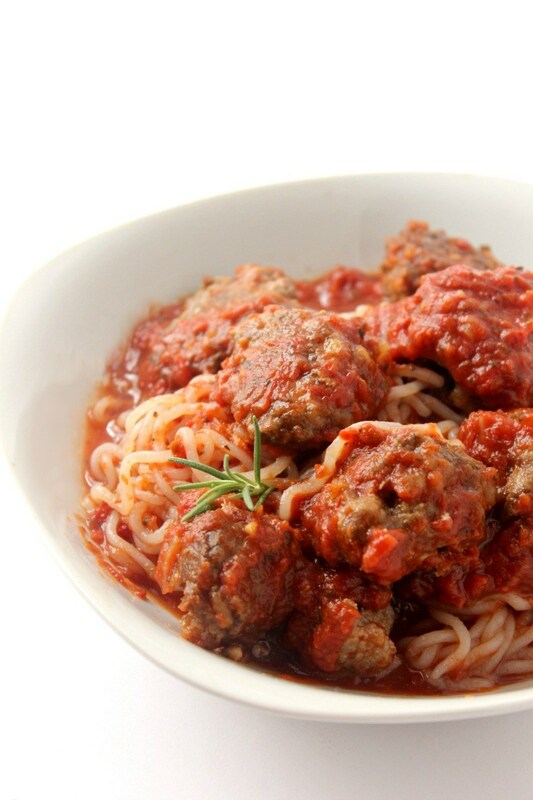 A low carb take on spaghetti and meatballs means you can enjoy this classic favorite again! 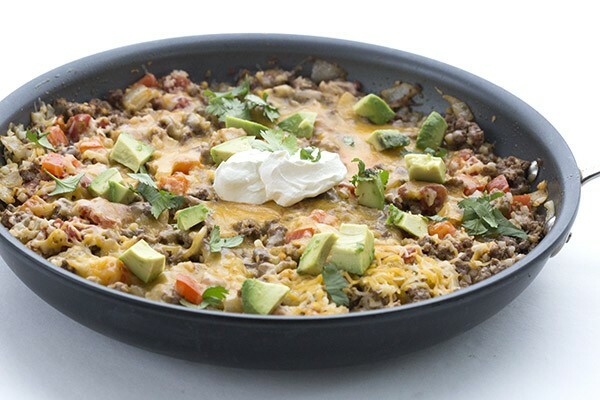 Ground beef, cauliflower rice, and Mexican flavors make this skillet a YES! This is one of our favorite easy keto recipes with ground beef. 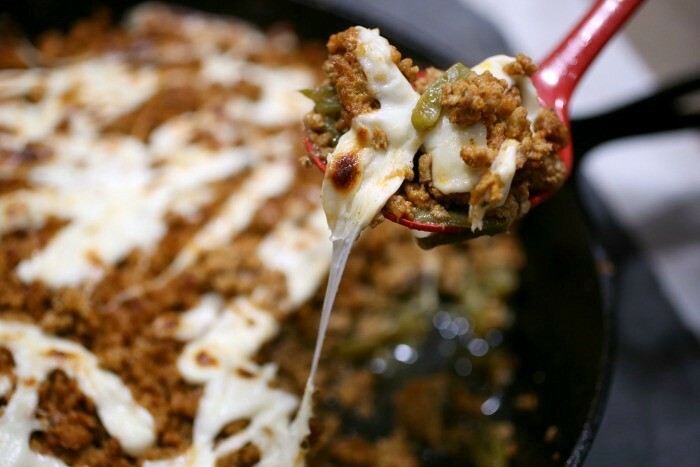 This is one of the top low carb recipes with ground beef and cauliflower, I love a good Mexican skillet meal! 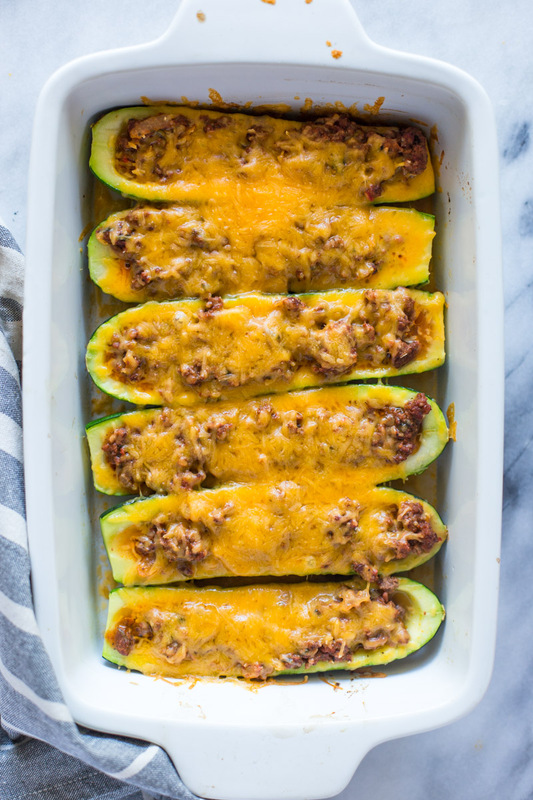 These beef stuffed zucchini boats look amazing, what a great low carb meal idea! 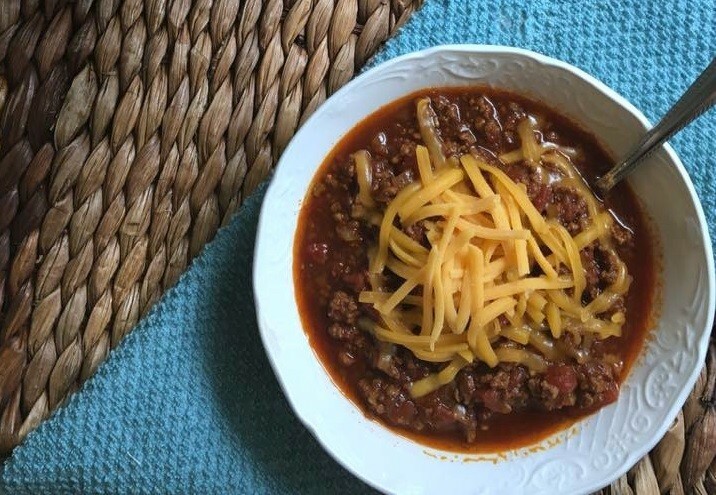 Have a pot of beef chili ready on game day for all of your keto guests! 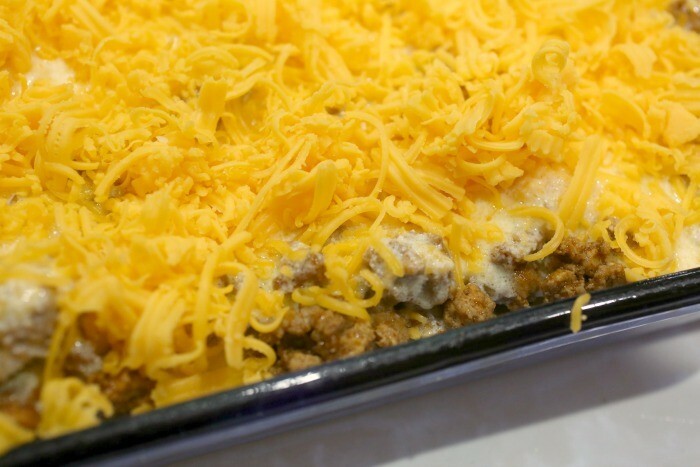 If you’re a fan of pork rinds, this keto ground beef taco bake recipe is right up your alley. These keto friendly lettuce wraps are low carb, gluten free, and quick and easy to make for dinner. Just like your favorite Philly Cheesesteak sandwich, but without the bread. What a great keto dinner idea! 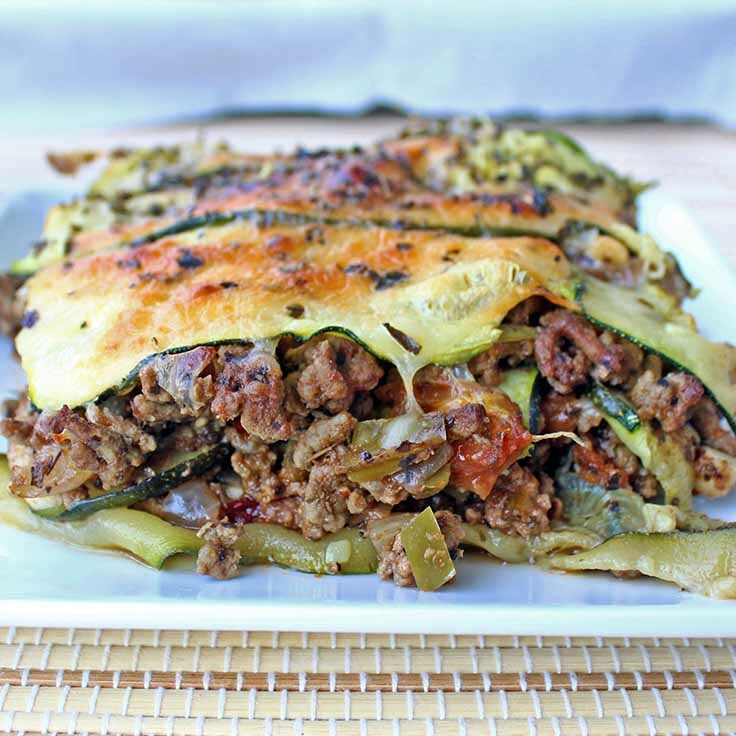 If you’re on the keto diet and love lasagna, try this delicious keto ground beef and zucchini recipe! This recipe is kinda like a keto ground beef casserole, lasagna style. 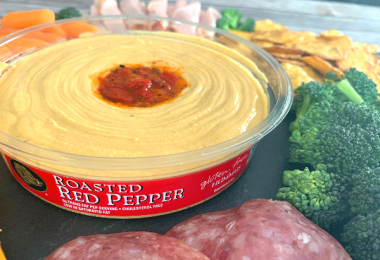 Skip the cheese to make it keto friendly. 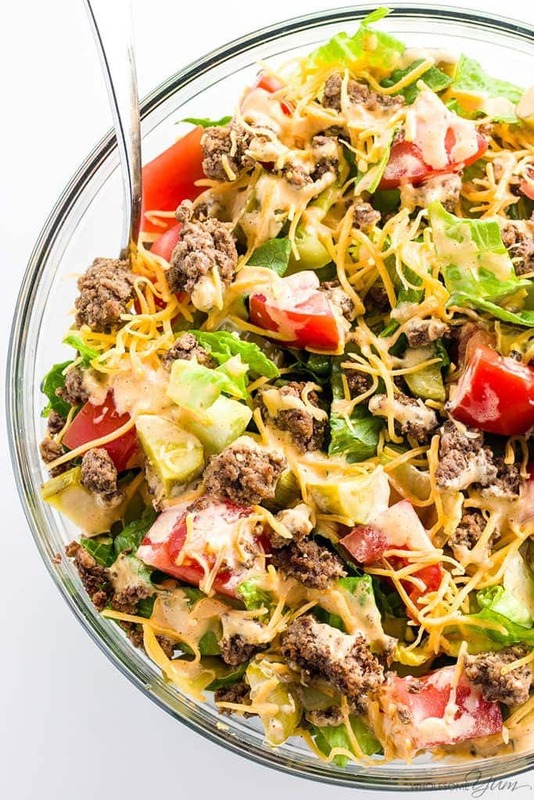 A healthier, low carb alternative to the traditional cheeseburger in salad form. This super quick and easy low carb dinner recipe is healthy, delicious, and keto friendly! Combine ground beef, green beans, and mozzarella cheese to make this tasty keto skillet dinner! 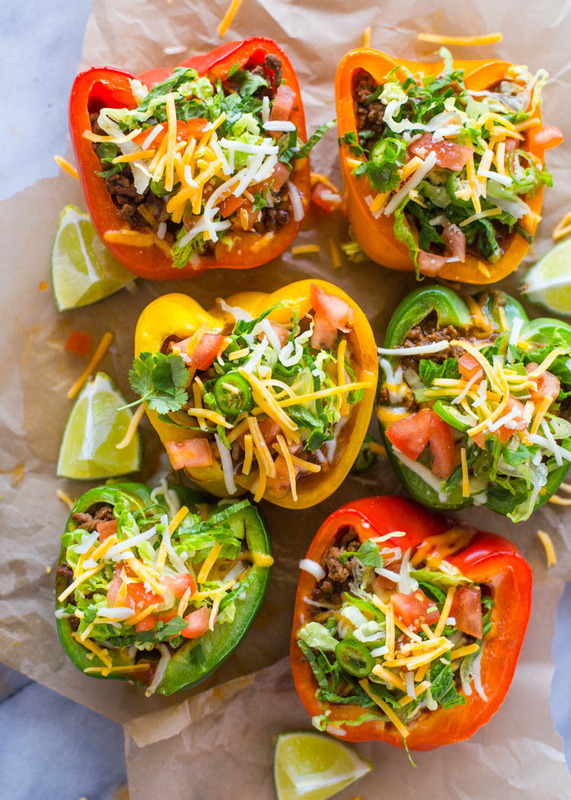 No taco shells needed for this tasty ketogenic dinner recipe! 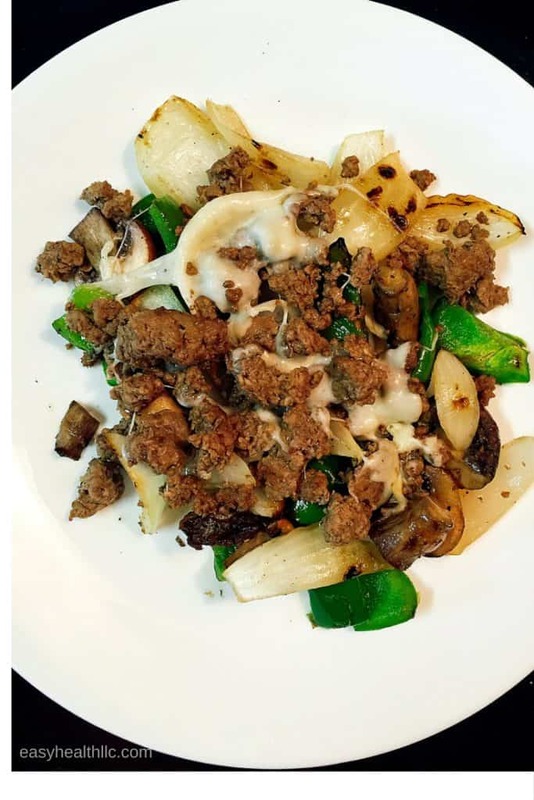 This is another of our favorite easy keto recipes with ground beef. Which keto ground beef recipes are your favorite? 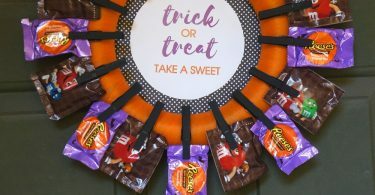 This DIY Halloween Candy Wreath Is Perfect For Trick or Treaters! Thanks for the shout-out; I love those Sriracha Beef Lettuce Wraps!